Berlin, 9 April 2018 – The market for computer and video games continued to exhibit significant growth in 2017. Compared to 2016, the overall market grew by 15 per cent, to more than 3.3 billion euros – meaning that the German games market topped the 3-billion-euro mark for the first time ever. This information was announced today by game – the German Games Industry Association based on data from market research institutes GfK and GfK Entertainment. The market for games consoles and peripherals grew particularly strongly in 2017, expanding by 26 per cent, to 938 million euros. 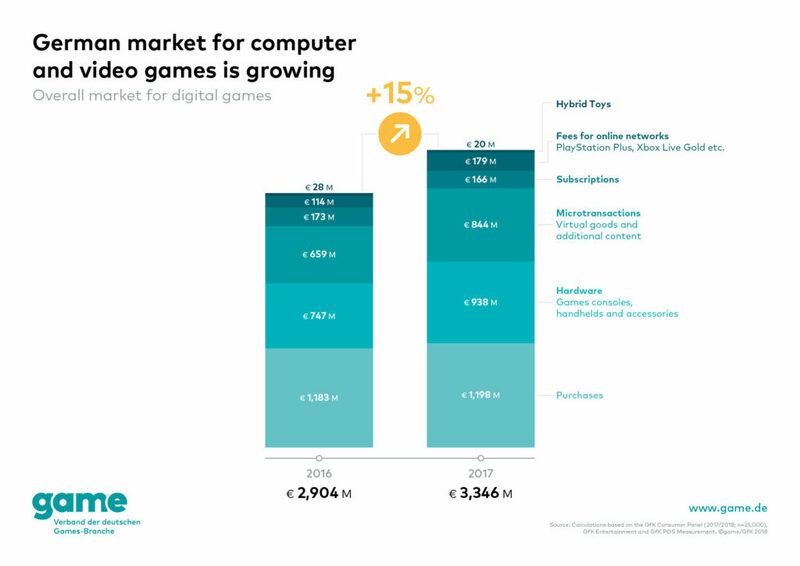 Revenue from games for PCs, consoles, handhelds, smartphones and tablets also rose significantly in 2017: whilst games software generated 2.2 billion euros in revenue in 2016, that number rose to 2.4 billion euros in 2017 – an increase of nearly 12 per cent. The greatest volume of revenue was generated through purchases of computer and video games: Germans spent approximately 1.2 billion euros on digital games in 2017, or one per cent more than in 2016. Revenue from microtransactions involving virtual goods and additional content rose strongly: this market segment grew by 28 per cent in 2017, to 844 million euros. Revenue from subscriptions, on the other hand, declined by 4 per cent, to 166 million euros. In 2017, Germans spent significantly more on fees for online networks such as EA Access, PlayStation Plus and Xbox Live Gold: this market segment grew by 57 per cent, to 179 million euros. Revenue from hybrid toys decreased to 20 million euros in 2017. We are the association of the German games industry. Our members include developers, publishers and many other games industry actors such as e-sports event organisers, institutions of higher education and service providers. As the sponsor of gamescom, we are responsible for the world’s biggest event for computer and video games. We are an expert partner for media and for political and social institutions, and answer questions relating to market development, games culture and media literacy. 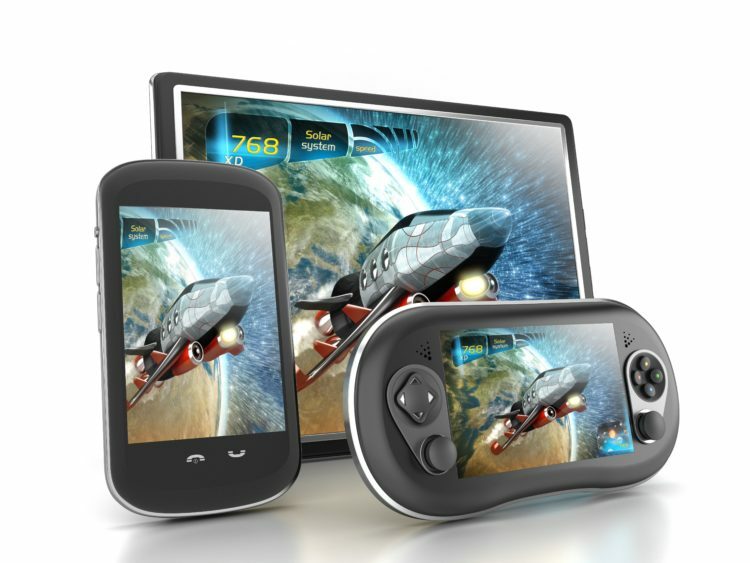 Our mission is to make Germany the leading location for game development.